According to RCLCO (Robert Charles Lesser & Company), one of the leading knowledge solution providers for the real estate industry since 1967, the real estate market is well on its way to a recovery. Both the current and future RMI (Real Estate Market) index remained well above 60, which is a strong indicator that economic and real estate market conditions are healthy and improving. Five out of ten tracked land usage indicators also have an index above 60. 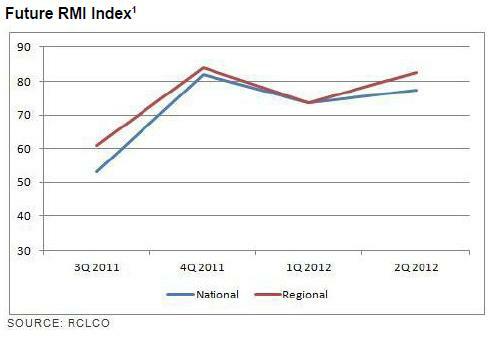 Overall, there have been major improvements in the economy and real estate from a year ago and since the first quarter of 2012. Overall, there have been major improvements in the economy and real estate from a year ago and since the first quarter of 2012. Even though unemployment is still high, real estate forecasters are optimistic about the future outlook for the economy and the real estate markets. 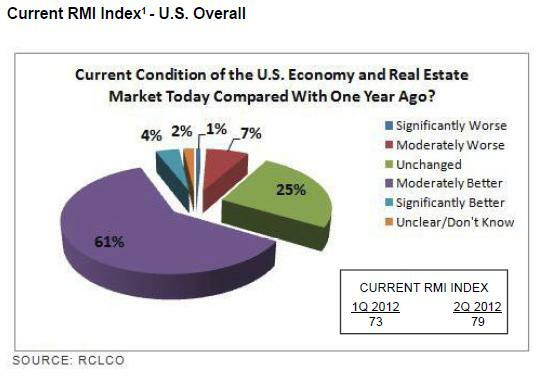 RCLCO believes that the likelihood that the U.S. will slip back into a recession is slim. 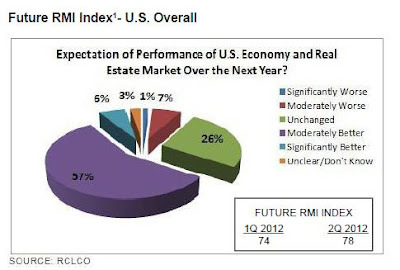 Predictions for future growth in the economic and real estate markets for the coming year are looking good. Recovery will be slow, but steady according to RCLCO with unemployment catching up and the markets will improve as the retail sector will start to benefit from the recovery.